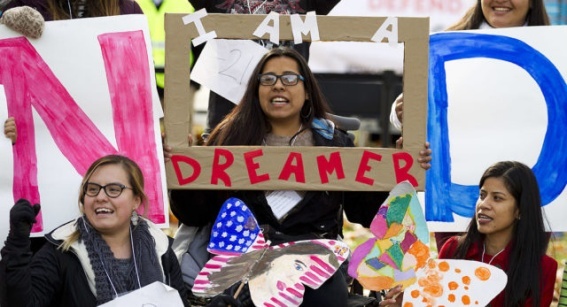 Federal Judge William Alsup of California temporarily blocked the Trump administration’s efforts to end the Deferred Action for Childhood Arrivals program (DACA). Judge Alsup said the administration must resume receiving DACA renewal applications. However, the ruling is restricted –the administration does not need to process applications for those who have never before received DACA protections, Alsup said. The Trump administration announced the move to draw down the program last September with a planned end for early March. DACA protected young undocumented immigrants who came to the US as children from deportation. The outcome of DACA and the roughly 700,000 “Dreamers” is the subject of fiery negotiations in Washington, where President Donald Trump, Republicans and Democrats are searching for a way to allow Dreamers to stay while also addressing border security concerns. It is not clear how the order will impact those talks. “An issue of this magnitude must go through the normal legislative process. President Trump is committed to the rule of law, and will work with members of both parties to reach a permanent solution that corrects the unconstitutional actions taken by the last administration,” White House press secretary Sarah Sanders said in a statement. Trump, himself, blasted the decision on Twitter. “It just shows everyone how broken and unfair our Court System is when the opposing side in a case (such as DACA) always runs to the 9th Circuit and almost always wins before being reversed by higher courts,” he tweeted. The Ninth US Circuit Court of Appeals, which has blocked several versions of Trump’s travel ban and is considered a more liberal court, would hear a potential appeal to Alsup’s decision. 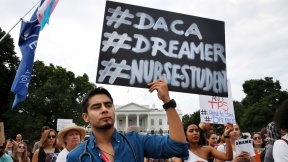 “We need permanent legislative solution to DACA, not a drawn out legal fight, and this ruling ups the ante for Congress to act,” said John Rowe, Exelon Chairman Emeritus and IBIC Co-Chair, “There is only one real path forward: either Congress will pass a legislative solution to DACA, or nearly 800,000 DACA recipients will lose their ability to live and work legally in this country.” Without a DACA legislative solution, the country stands to lose $433.1 billion in economic growth nationally, Illinois stands to lose $2.3 billion in GDP, and employers nationwide will lose $6.3 billion in employee turnover costs nationwide. In Chicago, The Resurrection Project will host an emergency educational meeting on Thursday, Jan. 11th at 3:30p.m., at La Casa, 1815 S. Paulina. TRP urges individuals with DACA related questions/concerns to join the meeting to receive accurate information and connect with legal counsel.